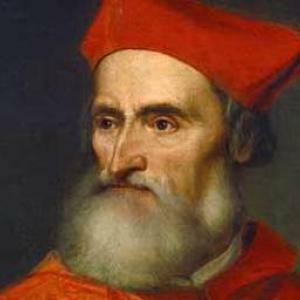 Ludovico Ariosto and Pietro Bembo are among the most important figures of the renewal in culture and arts known as the Renaissance. Almost the same age, they met towards the end of the XV century in Ferrara, where Ariosto, born in Reggio Emilia, was studying law and Bembo, from Venice, used to spend long periods being in love with Lucrezia Borgia. They were both important members of the refined cultural circle founded by Ercole I d’Este. They both contributed to the renewal of Italian language in various literature genres (Ariosto in epic poetry and theatrical plays; Bembo in prose dialogues and love poetry). Alongside these two, there were several literary scholars, painters, architects and musicians, who contributed not only to make Ferrara the splendid city and cultural centre it is, but in general to revive the culture, mostly reproposing the study of classics, also passionately rediscovered in other cities like Venice, Mantova, Padua, Urbino, Florence and the Papal court. This evening’s entertainment, created to celebrate Pietro Bembo, wishes to recall many similar events we read about Ferrara in the XVI century: a cultural wake, with an actor reciting a text, completed by music covering the whole century up to 1575, when the First Book of Madrigals with three voices by Andrea Gabrieli was published. In this period there was a lot of experimenting in poetry and music. All the compositions have text by Bembo, showing how popular his love poetry -based on Petrarch- was, and how Bembo contributed to the spreading of Petrarch work. This wake entertainment is meant to enjoy the audience in the alternating of recited and sung texts, so paying homage to the two poets who shared a novel sense of beauty.